Do I Really Have to Take My Own Advice? Turns out he is right. My teaching is about to go out into the world, and I am sensing God getting serious. A few days ago I was feeling sad and upset about something, so I called a friend for moral support. She had really good things to say about the situation, gave me perspective, and I felt much better. Then I remembered something. I had been prayer journaling about that exact situation a few weeks before, and I felt God say some specific things about how I should deal with it. In fact, God’s voice, written in my prayer journal, said the same things my friend had just said. Now, one could say that was a confirmation, but that is not what I sensed. I had the distinct feeling that God was pointing out that I had not listened to Him, and I certainly hadn’t followed His advice. Instead, I simmered and stewed about the situation, and ended up calling my friend. And this is an area where God is holding me to a higher standard as an author who is publishing a book of excerpts of her prayer journal. Why should anyone listen to what God says to me if I don’t listen to what God says to me? 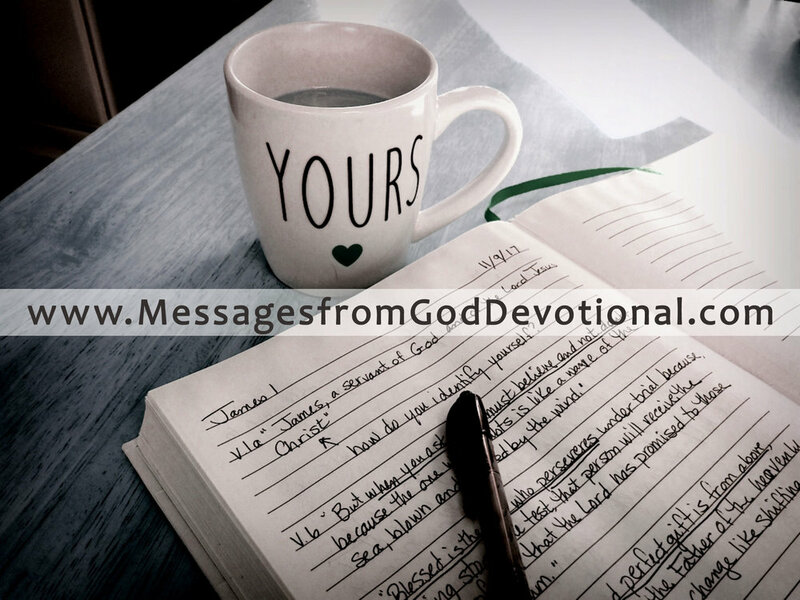 Over the next few days I had more “gotcha” moments, when I realized I was specifically ignoring one or another of the messages shared in Messages from God. Well, I get the point. I feel very strongly about the key message of Messages from God: An Illuminated Devotional - the need to start bringing God into the everyday moments, and that is how you move towards understanding what eternity with Him means. I am determined to bring this teaching to the world. And I’m going to start with myself.